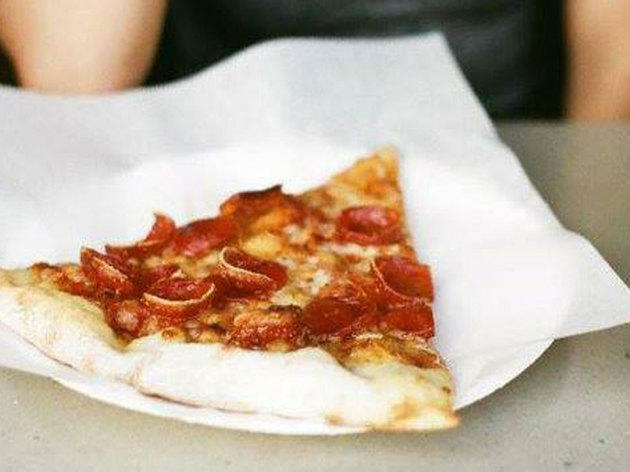 True Angelenos know that we’re a pizza-driven town. 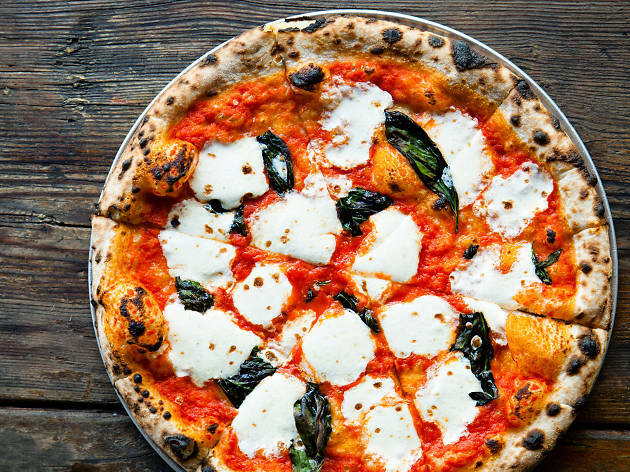 Here’s where to find the best pizza in the city. Angelenos have a lot of hometown pride, but what’s the first thing New Yorkers claim when they move to L.A.? 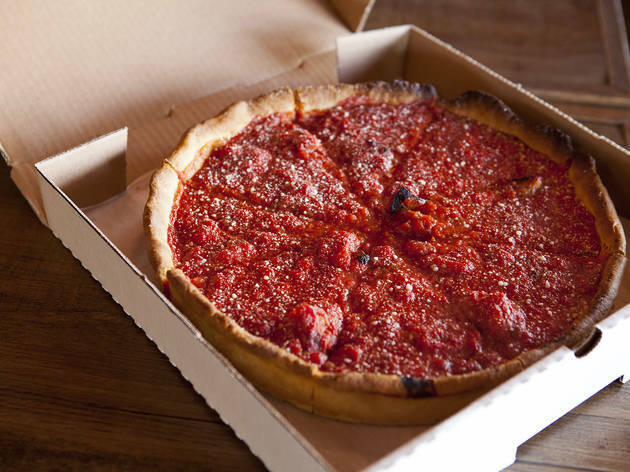 The pizza here isn’t as good as “back home.” Ditto for Chicagoans and their undying love for deep dish—to which we reply, “False, L.A. has great pizza”: New York-style, Chicago-style, Neopolitan-style—hell, put an avocado on top and we’ll claim that style as our own. 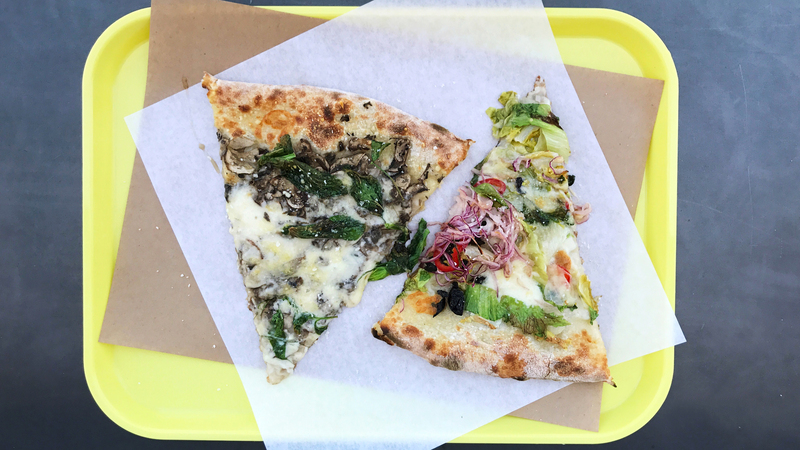 L.A. may be known for the best tacos and its cocktail bar scene, but we do pizza well, too, and it feels like we’ve got new pizzerias opening every month. 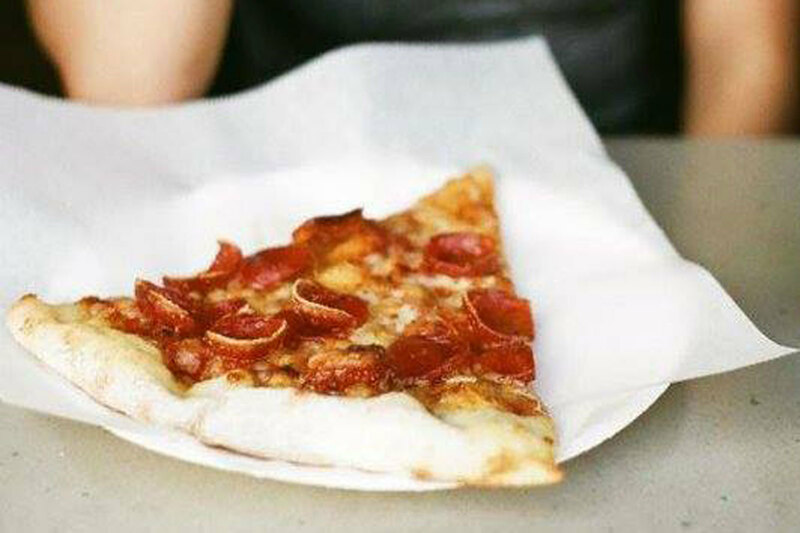 From solid cheap eats that come by the slice to artisan pies at sit-down restaurants, here are the best pizza places in the city. 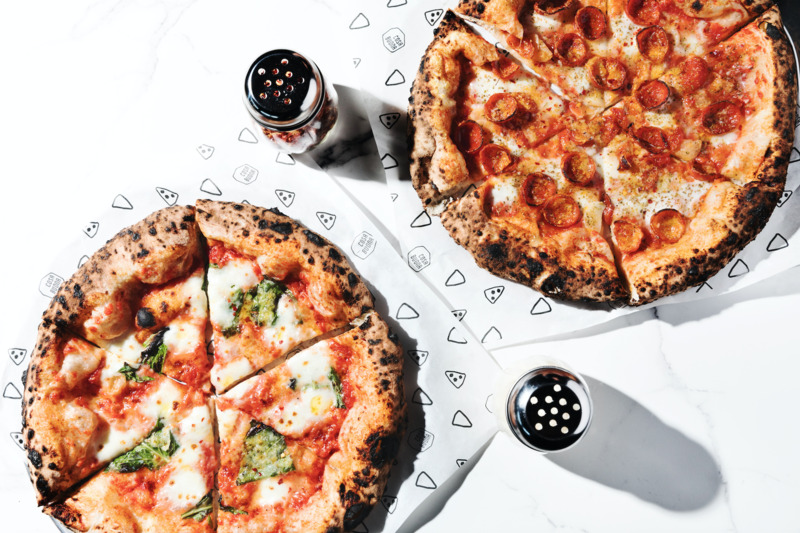 Pizzana is what happens when Neapolitan-style pizza meets California produce and sweet treats, all thanks to its founders: they of the Sprinkles Cupcakes empire. And while you can find some solid desserts here, don’t get it twisted—the show-stopper is undeniably the pizza. Italian (as in straight-from-Italy) chef Daniele Uditi masterfully helms the kitchen, where he crafts and throws crusts made from organic, stone-ground Italian flour, with his own grandparents’ yeast starter brought over from Italy. 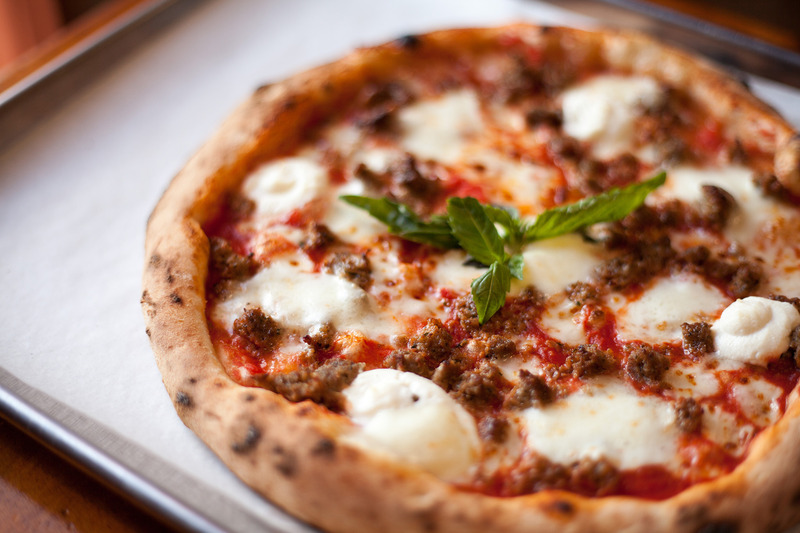 Imported mozzarella tops pies, as do local ingredients both consciously harvested and grown. 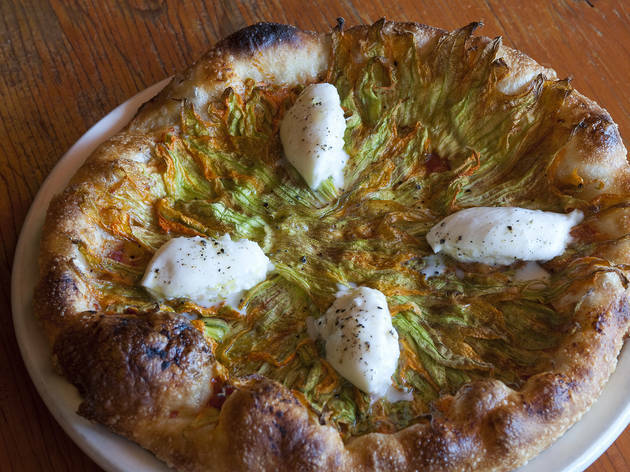 The cacio e pepe pizza topped with soft egg is a highlight, but we can’t ever deny the Corbarina, made with squash blossoms, burrata and gremolata. Neapolitan-style pizzeria DeSano brings a true taste of Italy to L.A. And we’re not just saying that: Mozzarella di bufala is flown in fresh from a small town in Campania, flour is shipped by boat, salt is gleaned from the Mediterranean Sea, and their handmade wood-burning ovens are supposedly built out of volcanic rock from Mount Vesuvius. 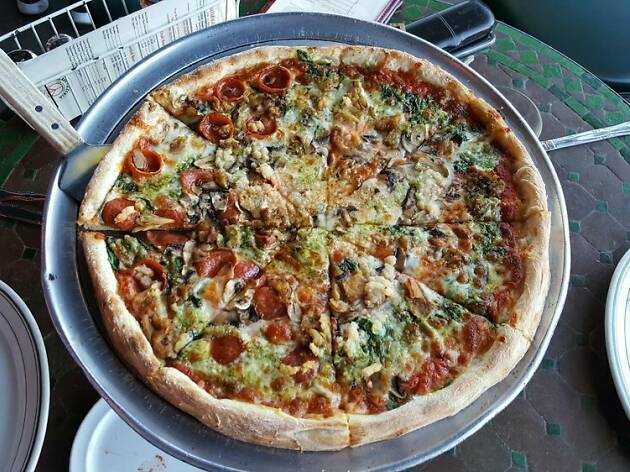 It’s hard to pick just one pie to go with, but the San Gennaro is a solid choice, with huge chunks of fresh sausage piled on top. Don’t forget dessert, either: Cannoli, gelato and, yes, biscotti, are offered as the perfect end to a pizza dinner. 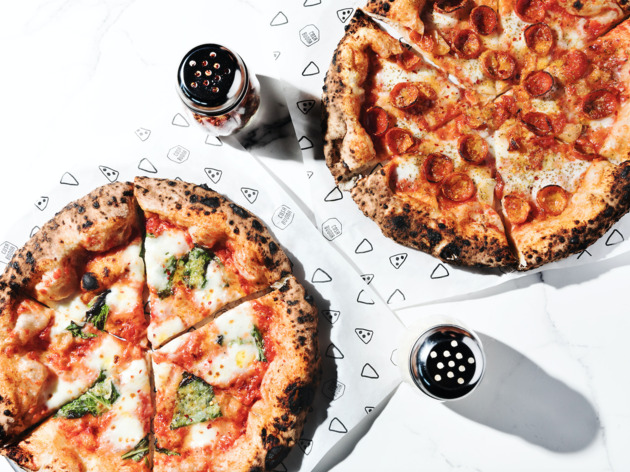 Nancy Silverton’s Pizzeria Mozza has become such a force in L.A.’s food culture that nearly every other pie in town is compared to it—even if the comparisons aren’t apt. After all, Pizzeria Mozza is in a class all to itself: Silverton’s pizzas are unabashedly doughy and chewy, full of airy, sometimes charred bubbles and topped with ingredients that wouldn’t be out of place in the kitchen at Lucques: burrata and squash blossoms, fennel sausage, or wonderfully toothy long-cooked broccolini with caciocavallo cheese. Beyond the pizza are other showstoppers: hefty meatballs made with no fewer than three rich meats (veal, pork, pancetta) and served in a passata di pomodoro sauce; and a creamy, buttery, rich butterscotch budino that, no matter how many times you have it, is bound to be one of the best desserts you’ll have all year. Just as memorable as the pizza. 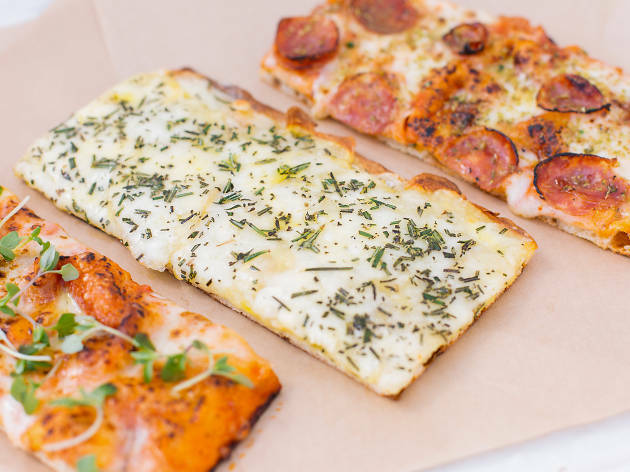 This New York-inspired slice shop does it all: House-made dough ferments for 24 hours, the sausage is made there, too, and you can bet there’s not just the thin, New York-style option—they also do thick-cut, Sicilian-style pizza. 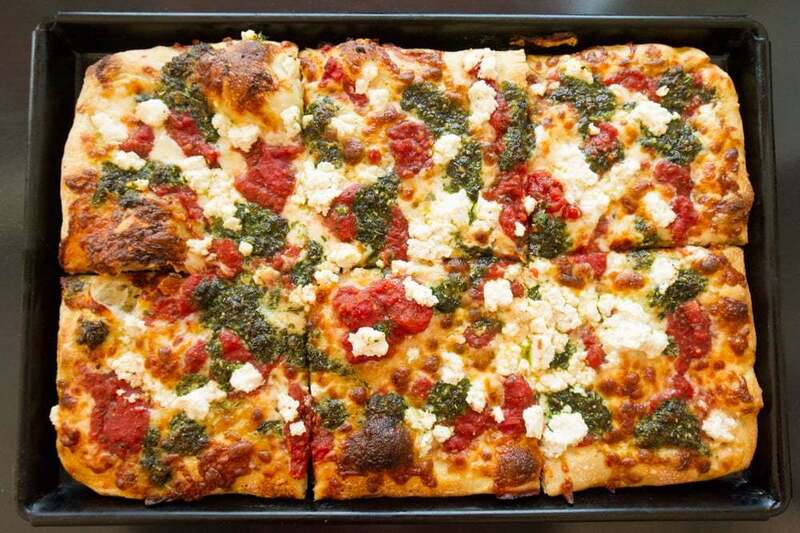 Find round or the thicker square pies whole or by the slice, and don’t skip the garlic knots. Cosa Buona is chef Zach Pollack’s hearty, no-frills Italian joint—think of it as the fun younger cousin to Alimento. 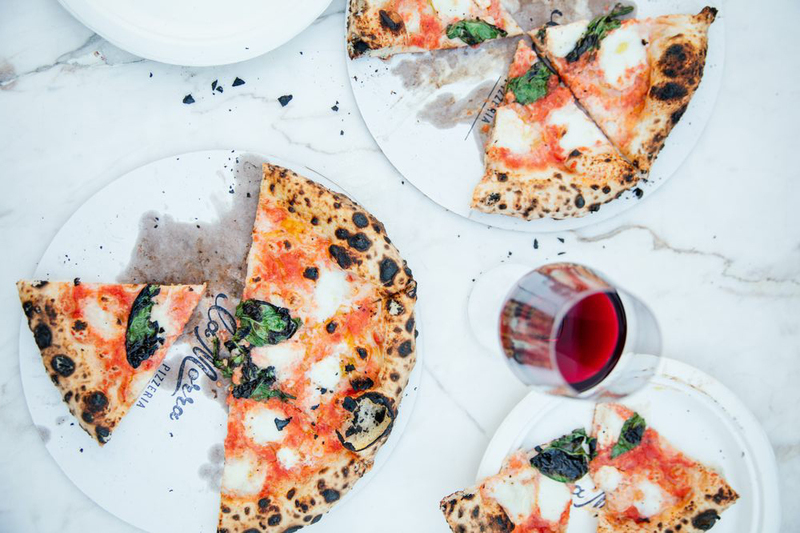 And at Cosa Buona, the name is spot-on: There are a lot of good things here, including a range of antipasti, salads and some of the best mozzarella sticks in all the land, but a must is the pizza, with a fermented, chewy, airy, bubble-pocketed crust that denies typical pie categorization. 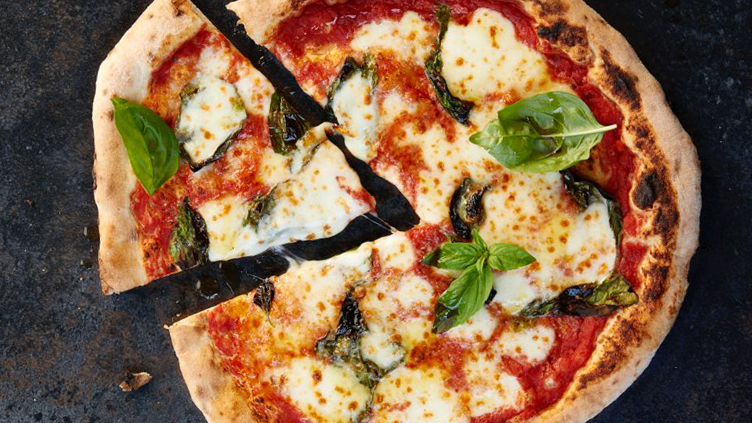 Stick with familiar favorites like margherita, or the biancoverde—a white pie with mozzarella, spinach, garlic, basil and ricotta—or veer into fun, gourmet takes on American classics such as BBQ chicken or Hawaiian. 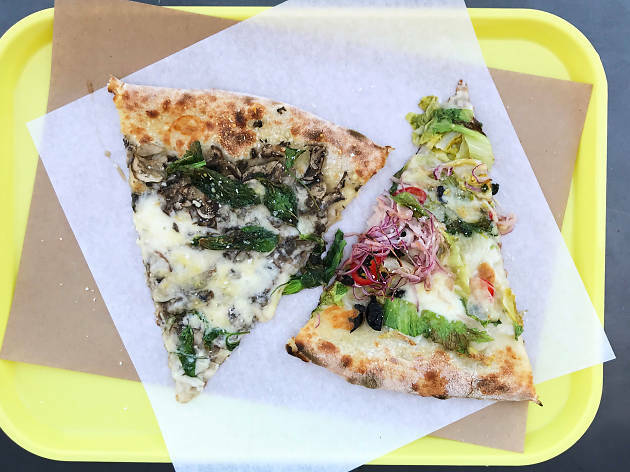 Former Mozza chef Matt Molina and Mozzaplex magnate Nancy Silverton teamed up for Highland Park’s only Roman-style pizzeria, slinging scissors-sliced pies you pay for by the ounce. You can only find four or five varieties per night, but don’t let that worry you—they’re all great, so order a little slice of each. (There’s even a nightly vegan option.) Don’t skip the foccacia, though, which is great in every flavor; we’re partial to the O.G., slick with olive oil and flecked with nothing but rosemary and sea salt. Enjoy on the cute patio and eat right away, for best results. 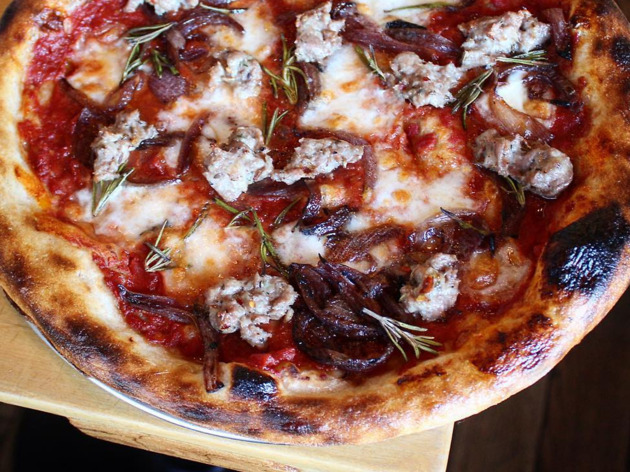 A love of Neapolitan-style pizza—and each other—is what fuels La Morra Pizzeria. Well, that and a lot of wood. The mobile-oven outfit from Zach Swemle and Marlee Blodgett pops up frequently around town—namely at Tabula Rasa wine bar—and with just one bite, you can taste all of that affection: The dough is labored over, with bubbly, airy, just-charred crust, but never detracts from the soft centers slick with local ingredients, hand-torn mozzerella and more. And, of course, they all bake in the oven that Swemle built by hand, himself. We told you: There’s a lot of love here. Follow along on social media to find them popping up around town. The crisp-bottomed crusts in this neighborhood spot are made from wild yeasts and organic grains, and come complete with everything from raclette to spicy-sweet house-made sausage. Most salads and sides swap out weekly, due to seasonality, and the desserts are not to be missed—especially the Basque cake, served with a dab of tart yogurt. 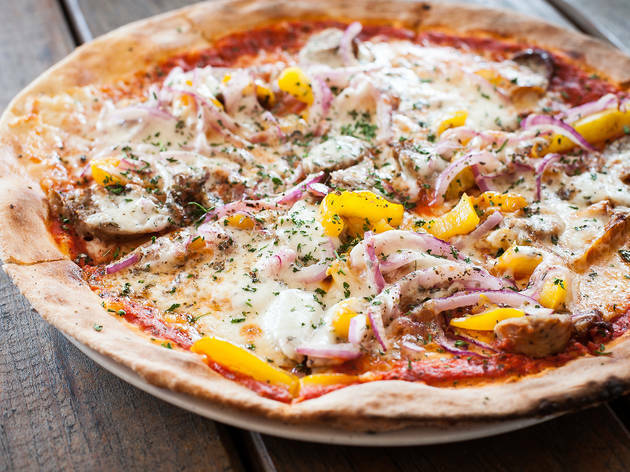 A renaissance chef of a man, owner David Wilcox also dabbles in sandwiches, stews and eggy brunch plates, but the star here is undeniably the pizza: Crunchy, piping hot from the oven, and always topped with something local and delicious. 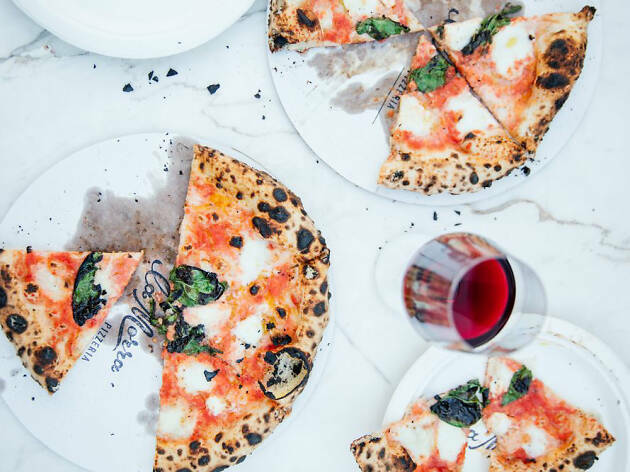 With locations in both Hollywood and Santa Monica, this artisanal pizzeria makes for a particularly good nosh session no matter which side of the 405 you’re on. 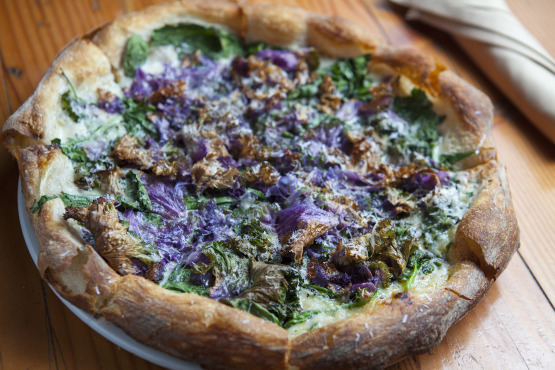 Don’t let the cool-kid scene distract you from truly good, seasonal pies that source local ingredients like purple kale and hand-picked oregano. 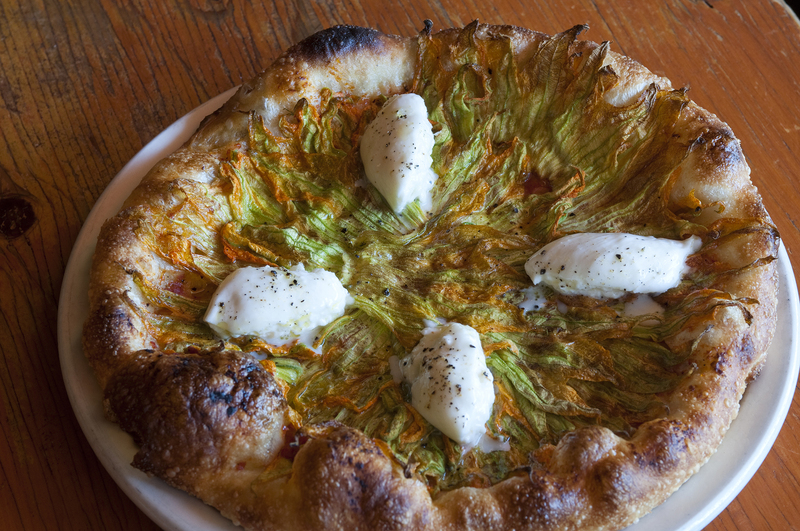 Try the fennel-flavored, house-made sausage pie topped with organic tomato and mozzarella and, while you can get it, the seasonal squash pie with bacon. We also love the signature burrata, plated with house-made bread and tomato jam and take-away baked goods on display, from oversized Rice Krispy treats to bacon–and–chocolate-chip cookies. The misleadingly-named Hollywood Pies actually brings a little slice of Chicago to Pico-Robertson. 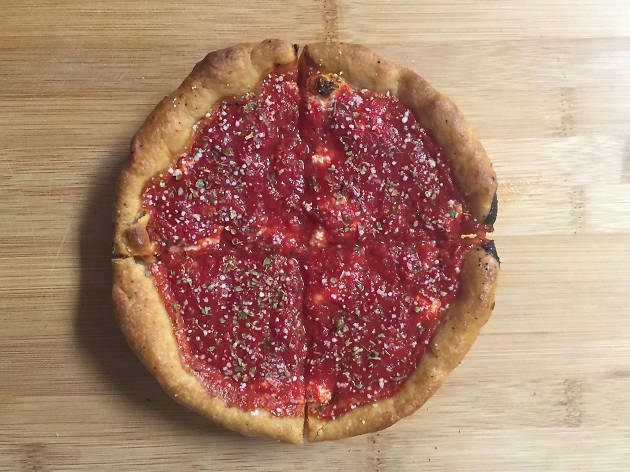 This deep-dish spot originally operated a comically sketchy pick-up service—order ahead, pull up to the curb and exchange the goods—but has since opened up a dine-in area. 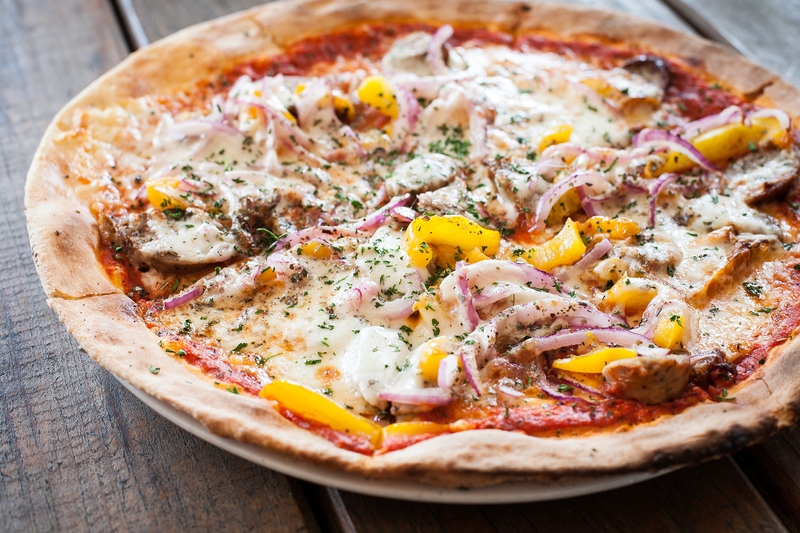 Opt for the Classic Chicago, featuring whole-milk mozzarella, mild Italian sausage and the most heavenly house-made ricotta. 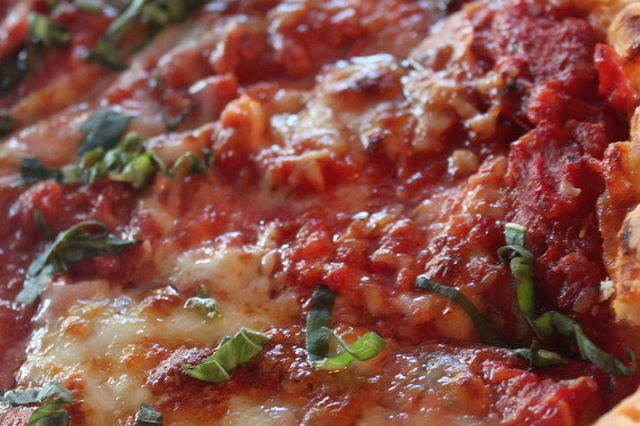 Call in your order ahead of time because—deep-dish eaters, you know the drill—those cheesy bakes take some time to cook. 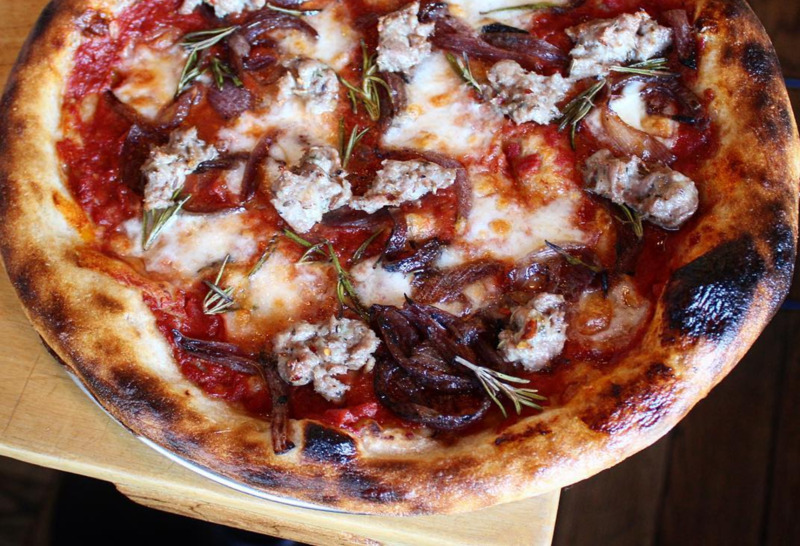 Sure, you can find phenomenal, Bologna-focused Italian food next door at Rossoblu, but if it’s pizza you crave, chef Steve Samson’s other spot, Superfine, should be your destination. Head to this walk-up window of our dreams, where gourmet and seasonal-produce–topped slices go for as little as $3 and can include house-made sausage, salt-cured olives, escarole, anchovies, spicy salami, smoked provolone and more. It’s not quite as flexible or foldable as New York-style, nor is it completely soft in the center, à la Neapolitan. 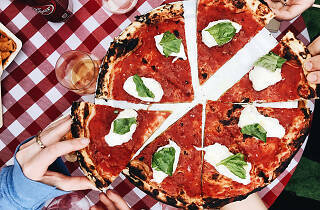 It’s a pizza that feels totally unique, and like L.A.’s own. Jon Shook and Vinny Dotolo’s neo–Italian-American spot is the clear go-to for their local icon, fussili in vodka sauce, but their pizza easily rivals the pasta. 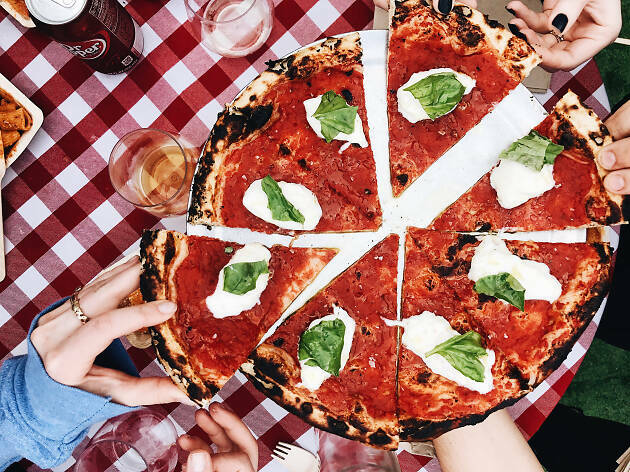 Crispy-but-flexible, ultra-thin crust houses straightforward toppings—like on the L.A. Woman, comprised of olive oil, tomato, basil, sea salt and globs of local burrata—as well as more, uh, unique items, such as ham with vodka sauce and pickled chilies. 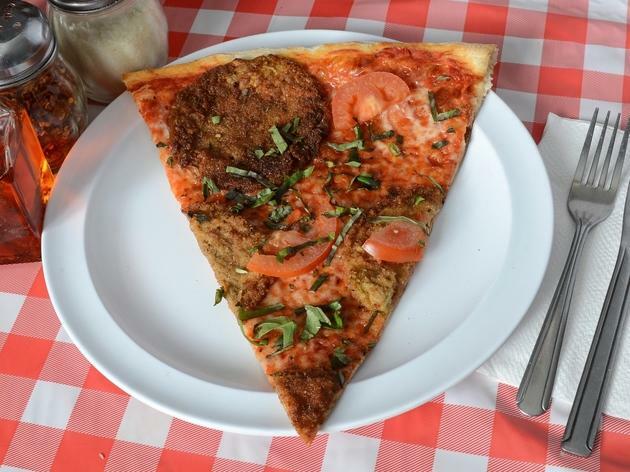 Still nostalgic for a slice of New York? 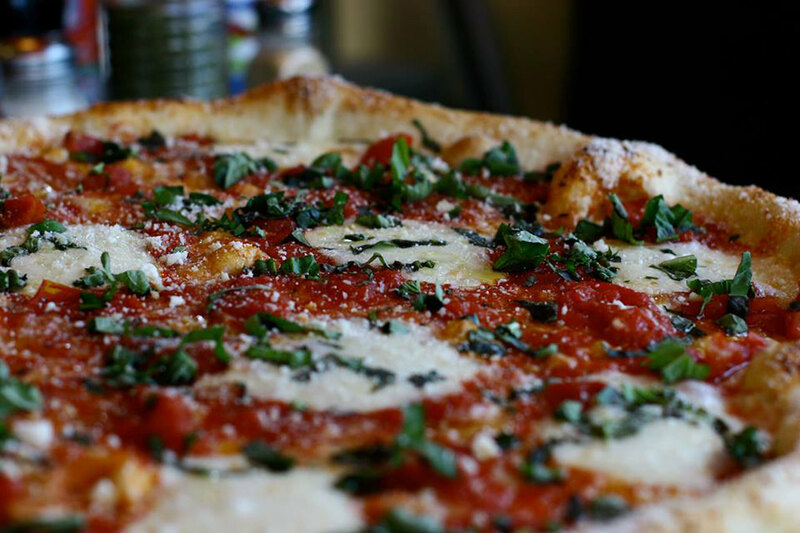 Mulberry Street Pizzeria is your go-to. Located in the heart of Beverly Hills on Canon Drive, another location just a few blocks away, plus two more in the San Fernando Valley, this local chain exhibits authentic Italian charm and a welcoming mom-and-pop vibe. 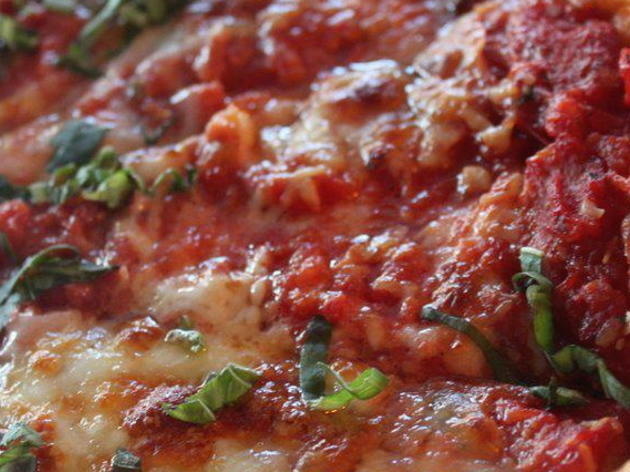 Unique toppings—lasagna pizza, anyone?—are available alongside some fantastic standards: The eggplant parmesan pizza is a must-try, as is the tomato and artichoke. Now that’s amore. 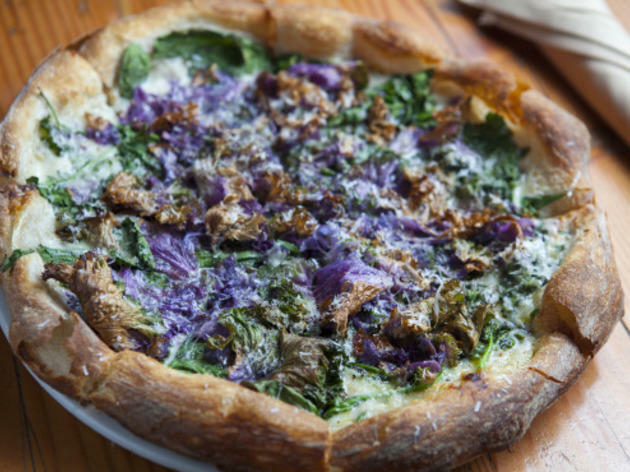 The hand-tossed, thin-crust pies at this hip Arts District pizza joint show off local ingredients such as arugula, tomatoes, cage-free eggs and ethically-raised pork-and-beef meatballs. Go soul-searching with the Meat Jesus, a carnivore’s dream featuring pepperoni, sausage and bacon, or carbo-load with the Mac n Cheese pie (which is, you guessed it, macaroni and cheese piled high on a pizza). Though pies are a reasonable size, prices here skew a little high, so unless you show up with a large group, plan on ordering a single slice to go (especially on Tuesdays, when slices are only $2). 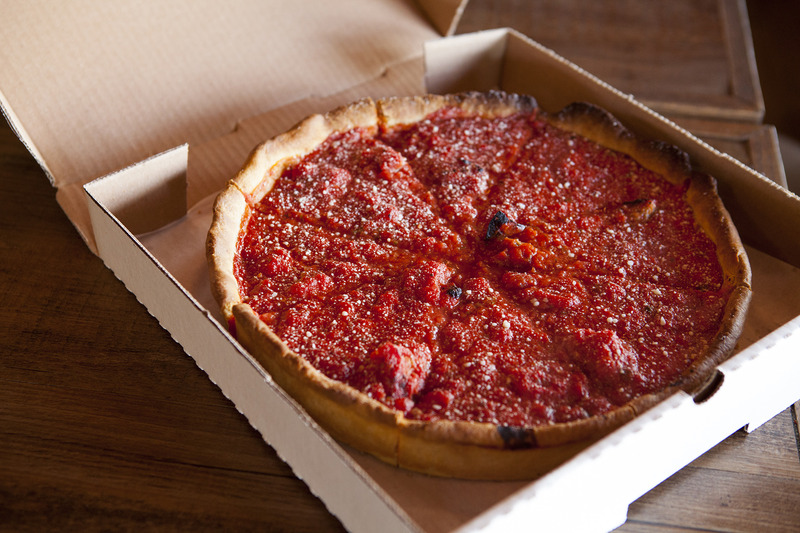 The Chicago deep dish at Masa is the real deal. You’ve got your 2-inch-deep pan, your fresh cornmeal crust, your cheesy sauces and chunky fillings for days. The cozy, family-owned vibe matches with an irresistible menu of classic Italian- and Chicago-style edibles (vegan options, too!) and turns an average night out into a hug in meal form. Pick from menu favorites like the Lots of Cheese (True to its name, it consists of mozzarella, romano and buffalo mozzarella cheese—“and lots of it”), or create your own with toppings that range from rosemary chicken breast to anchovies. If all goes well, you’ll be rolling out of there like a hunk of stuffed crust. 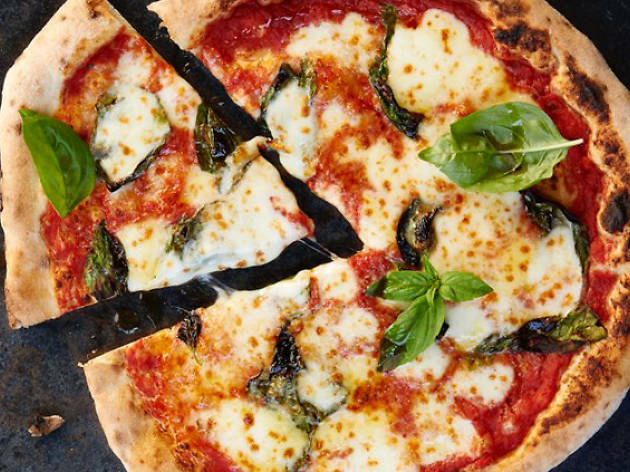 After multiple pop-ups and teases, one of Brooklyn’s most beloved pizza joints finally hit the West Coast. 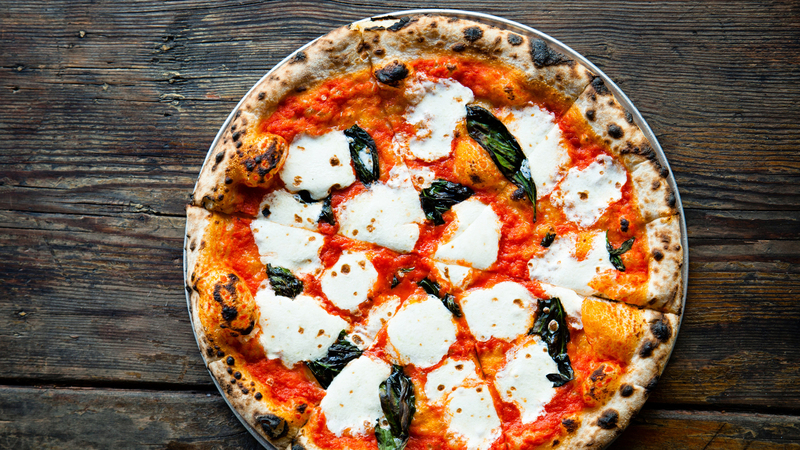 Making the absolute most of their wood-fired oven in Culver City’s PLATFORM, Roberta’s makes yeasty, doughy, blistered-crust pies in cult-classic flavors like the Bee Sting, made with sopressata, chili flakes and honey. Their L.A. location lacks the funk and cool-kid vibes of the Brooklyn originator, but the new outpost offers tons of natural light—especially on the wraparound patio. 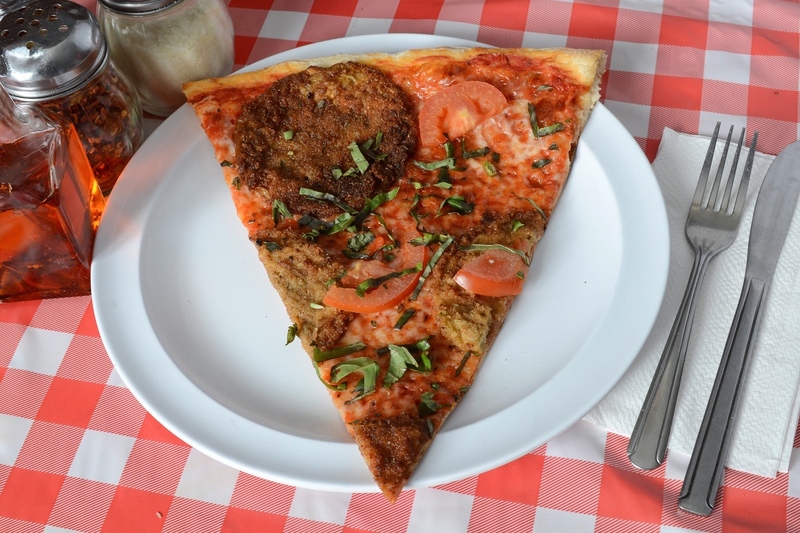 Tomato Pie Pizza Joint was opened by a New York transplant who—you guessed it—desperately missed the NY-style pizza from back home. 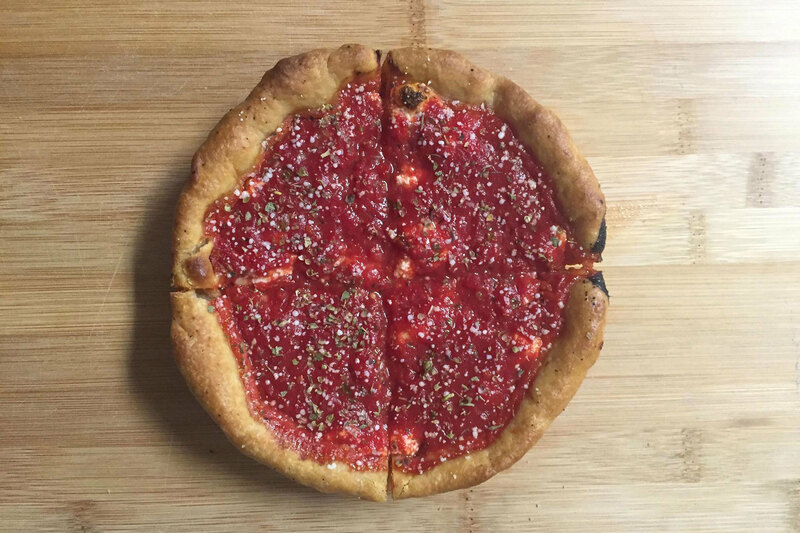 So he started his own pie shop, which now has three locations (South Pasadena, Silver Lake and Mid-City) and is dishing out thin-crust pizza to homesick transplants. Try the Mr. White, a garlic, olive oil and four-cheese variation, or the traditional Grandma, a margherita pie that is simple, classic and oh-so New York. 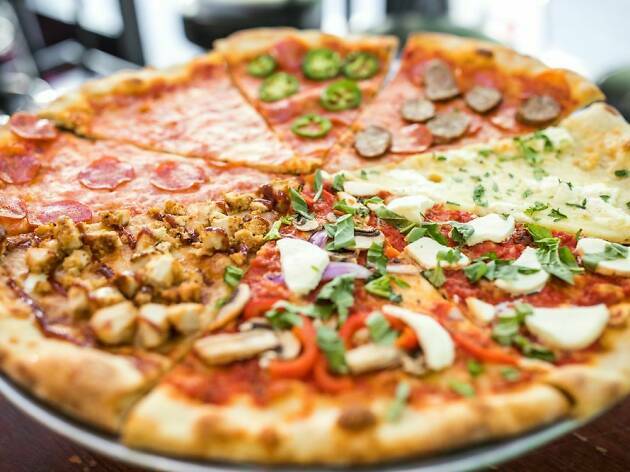 Authentic New York pizza in SoCal? Hell yeah. 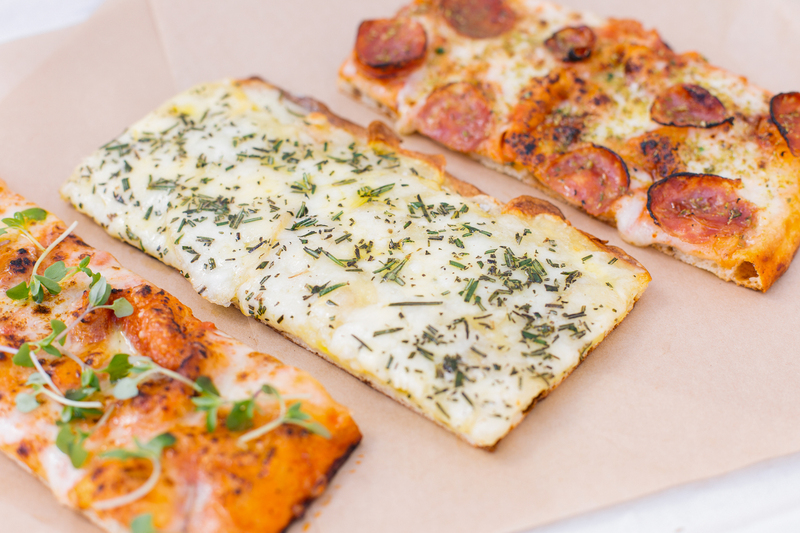 Dig into Joe’s pizza in Hollywood, Downtown, Sherman Oaks, the Sunset Strip or at their roving truck. 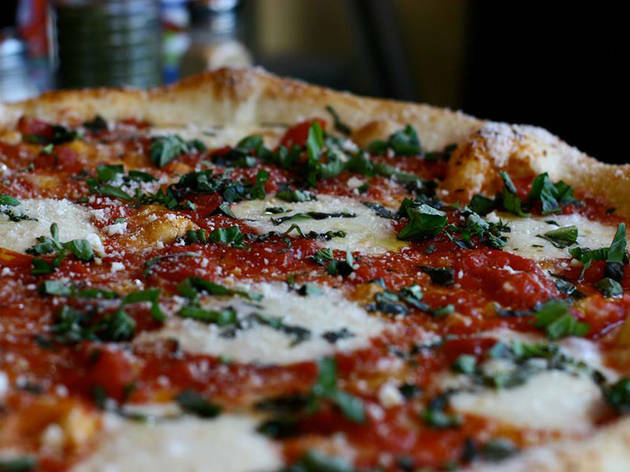 Thin-crusted, loaded with toppings and garnished with Joe’s special pizza sauce—the Grandma Pie with house-made marinara is something else, topped with a healthy smattering of fresh basil—these pizzas make the wait worth it. 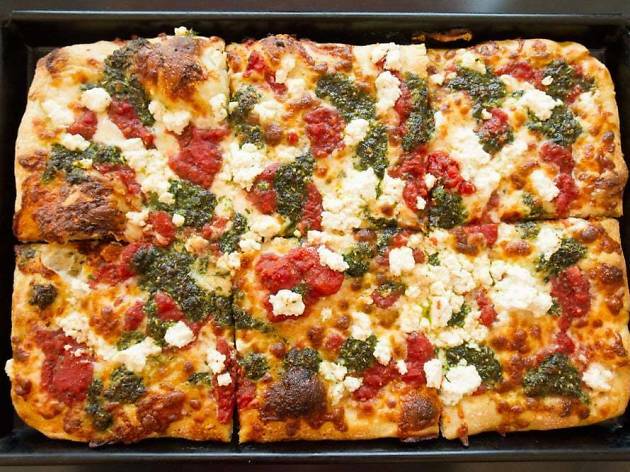 Order by the slice or a whole pie, and just try to say no to the garlic knots. 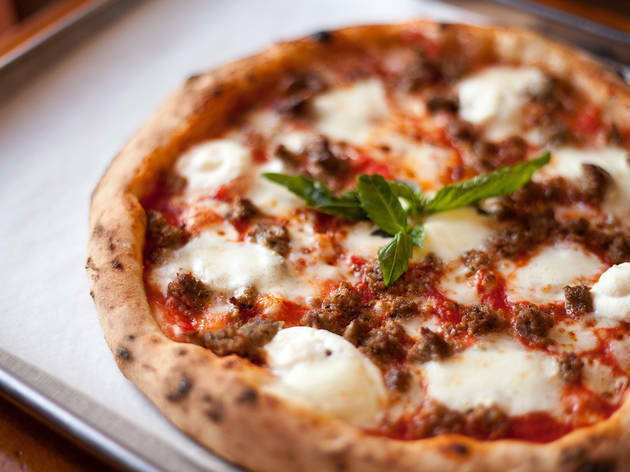 The pizza here always tastes fresh, and with good reason: They make crust dough from scratch daily, use only Wisconsin mozzarella, and make their own sauces, meatballs and sausages in-house. Try the clam and garlic, a fan favorite, where both namesake ingredients are in abundance. It’s not quite New York-style, but it’s delicious in its own right, and it’s all hand-spun and made-to-order.